This book is a follow-on from The Hobbit. After Bilbo leaves Frodo the ring, Frodo is tasked with the job of travelling across middle earth to destroy the ring. 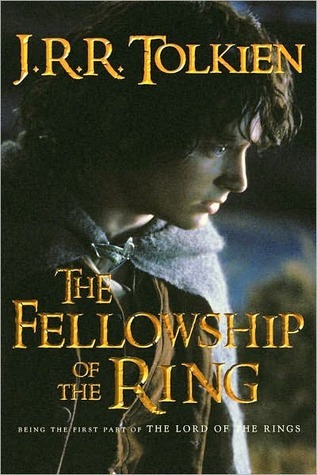 When Frodo's friends realise what Frodo is up to, they are not about to let him go about his task alone, so four hobbits set out on their adventure across middle earth to destroy the ring before it can fall into the wrong hands. I love these films, they are in fact some of my favourite films, the books, however, I found to be very long-winded and rather boring at times. I found myself not wanting to read on as I was losing interest in it. I must admit I didn't finish this book as I just lost interest in it.